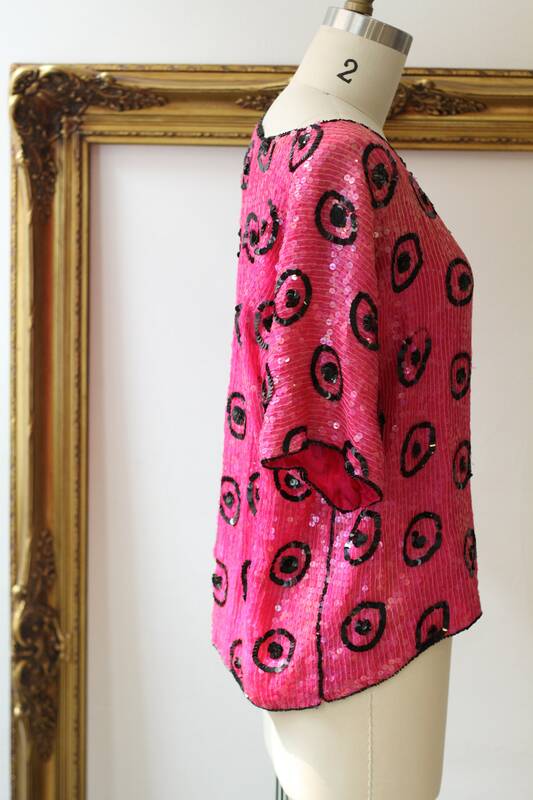 1980s fuchsia pink fully sequined shirt with black sequin circles and dot print scattered throughout. Short sleeves. 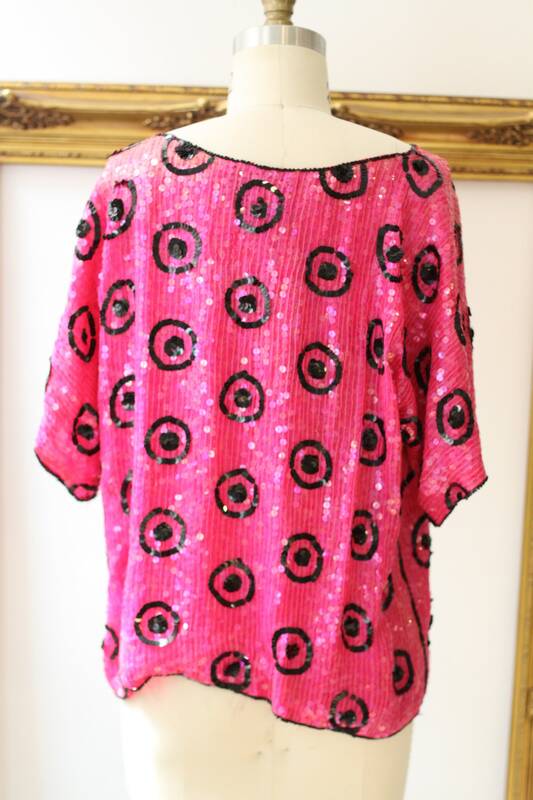 Perfect top to wear casually or dressed up. 100% silk lining. No closures so top must be pulled overhead. Good vintage condition. No major flaws, stains, or tears. Minor bead loss but not significant and does not take away from the structure or beauty of the top.